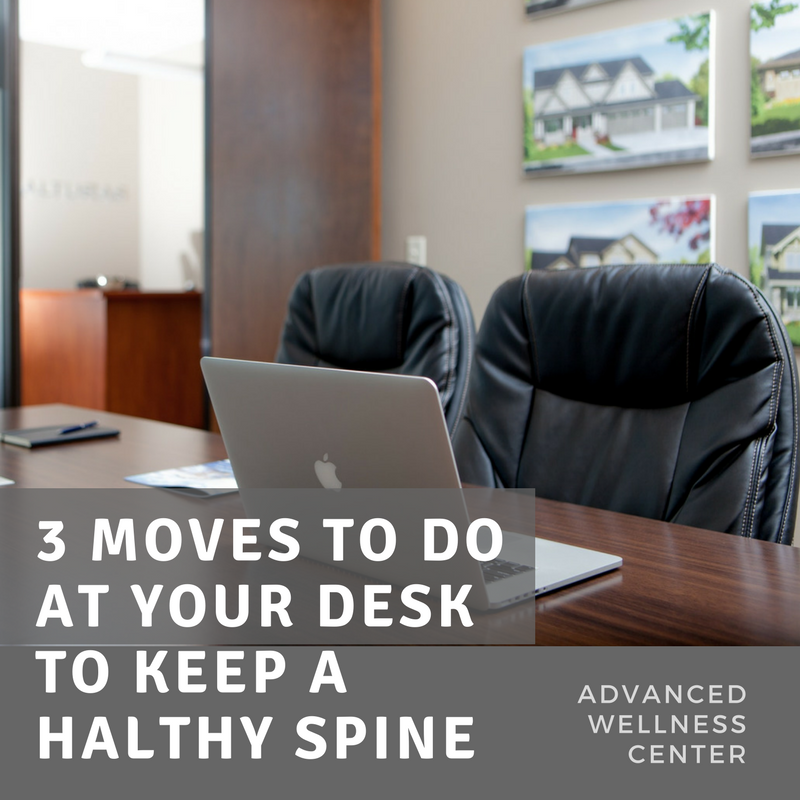 These 3 Moves + Your Office Job = Healthier Spine! If you’re like most Americans, you work at a desk or on your feet at a hectic 9am-5pm job, Monday through Friday. If you also get to the weekend and don’t structure it around taking care of your back and strengthening your spine, you are also not alone! We understand no one really has the time to get to work, take the kids to school, make dinner, walk the dog, work out, clean the house, take grandpa to the store, call your sister, AND stop to schedule time each day to take care of your back. We get it. So this week we created a solution for you in your quest to have it all, and a pain-free back! Turkey Neck: sit up straight, and pull your chin as close as you can to your neck. You’ll feel yourself making a double-chin, which means you’re doing it right, and you’ll feel the top muscles in your neck stretch out. Continue to do this 5-10 times. Remember! These should be done about 3x/day. If you work 8 hours, you’re already supposed to be getting up and taking a walk or getting a drink every hour anyway. Introduce these moves frequently and notice the difference in your back!